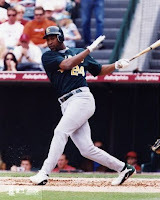 On the day we honor Jackie Robinson, Twins second baseman, Orlando Hudson brings up the touchy subject of not enough African-Americans in the major leagues. He says that the reason that players like Jermaine Dye and Gary Sheffield aren’t playing right now is because they are African-American. I contend that the reason players like Dye and Sheffield haven’t caught on with any teams yet is that they have an inflated opinion of themselves and they are demanding too much money. In these days of economical hardship around our country most teams are trying to cut corners any way they can, not to mention the fact that Dye had a horrible second half last season and Sheffield wasn’t much better. Jermaine Dye has turned down several offers of one to two million, because he feels that he’s worth more. There are a lot of player’s that had to swallow their pride and take a pay cut this off season, including the Twins Jim Thome. Is Jemaine Dye good enough to play in the Major League? Of course he is, but not at the price he’s asking. With his diminishing outfield skills and poor second half numbers, if he’s going to play it will probably be as a bench player or a DH. Americans, and especially the Major sports leagues in our country, are more socially aware then at any time in out history. To say that Major league owners and management are purposely excluding African Americans is just plain wrong, and to even elude to it, does a disservice to baseball fans everywhere. Can they do a better job? Probably, but what about all the Caucasian players who are out of work, like Jerrod Washburn for instance. Let’s honor the legacy of the Great man and player Jackie Robinson, not use it as a platform for accusations and complaints. 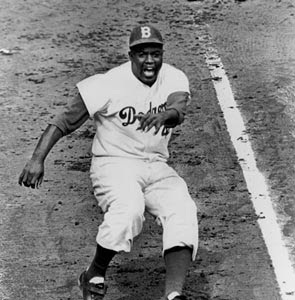 Let’s look back at the past 64 years and celebrate everything that Jackie helped bring to the game.